The high amounts of omega-6 and low doses of omega-3 fats, could be partly to blame for the endless list of health concerns and crippling diseases which are on the increase, such as heart disease and arthritis. Without this crucial nutrient, cellular structure of the body starts to break down, and as new cells are created, they are not as healthy as they once were. Two very important fatty acids are EPA (eicosapentaenoic acid) and DHA (docosahexaenoic acid) which are found in some types of fish and krill, while a third one, ALA is found in plant sources like seeds and nuts. These essential fatty acids are vital for the proper functioning of the body, and have recently been the focus of many studies, because of the additional health benefits omega-3 fats have to offer, over and above any deficiencies. For decades, fish oil has been the number one choice of essential fatty acids, but new studies indicate that krill oil is a much better source, and for good reason. Krill are tiny shrimp-like crustaceans inhibiting our icy-cold oceans. The structure of the EPA and DHA in krill oil makes it more easily absorbable by the body compared to the EPA and DHA in fish oil. The body can use more of the omega-3’s in krill oil, plus it has other valuable nutrients too. As a result a small amount of krill oil provides the body more of these omega-3 fatty acids than fish oil, because a lot of the omega-3’s from fish oil are actually wasted. Krill also supplies the body with a number of other essential nutrients to, that are not found in fish oil – canthaxanthin, astaxanthin and phospholipids. 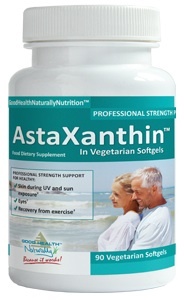 The latter two have definitive benefits for health; astaxanthin being a carotenoid antioxidant and phospholipids (found in all cellular make up of the human body) offer a sleek protection for cells travelling through the blood system. One vital function of omega-3 fatty acids is to regulate hormones. Becoming pregnant is much easier when hormones are regulated. The correct hormone balance promotes healthy ovulation, increase quality cervical mucus and aid in the overall health of the uterus. Estrogen and progesterone are crucial during the fertility process because they help the healthy egg transfer from the ovary and establish itself to the uterus lining. Then during the pregnancy, progesterone and relaxin (a protein hormone related to insulin, made in the ovaries, breasts and placenta), help the maternal muscles relax, making room for the fetus, as it grows in the womb. A study published in the American Journal of Clinical Nutrition links the consumption of omega-3’s with babies having better verbal intelligence and social behavior. Additionally these fatty acids can cut down on preterm labor and improve the baby’s birth weight. And new born babies, whose mothers had consumed omega-3 fats during pregnancy, had reduced risks of developing food allergies and eczema. 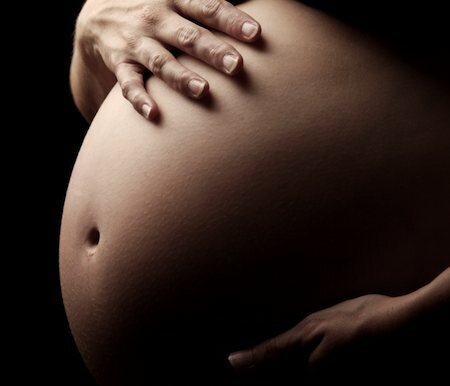 One study revealed that the quantity of DHA passed into the fetus through the placenta may be critical for the overall development of the fetus. 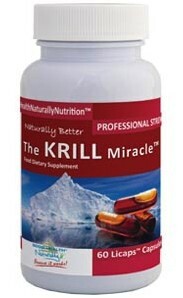 Because krill oil is a natural blood thinner, it may not be suitable for some women during pregnancy. Microalgae sourced DHA may be a better choice. However, during pregnancy a woman is a higher risk of Pulmonary Thrombosis, which means the blood is too thick. In this case, krill oil could be used to thin the blood. In either case, speak with your doctor before taking krill oil or any other high dose of omega-3’s. 3 – Rubinstein M, maezzi A, Polak de Friend E. Low dose aspirin treatment improves ovarian responsiveness, uterine and ovarian blood flow velocity, implantation and pregnancy rates in patients undergoing invitro fertilization: a prospective, randomized, double-blind, place-controlled assay. Fertile Steril. 1999;71:825-829.